It’s no secret around here my love for the Washi tape. You know the stuff. 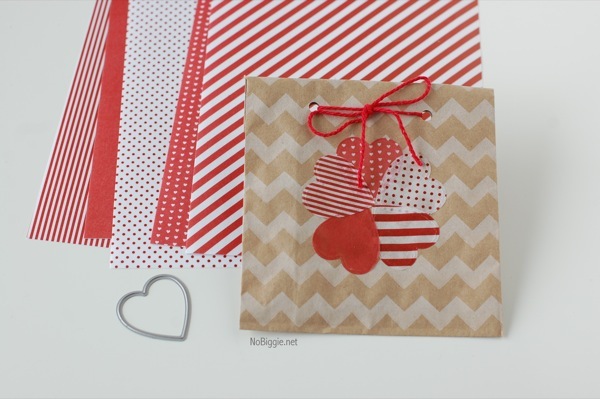 It’s Japanese paper tape that tears really easy and is so fun to add to all your gifts and cards. You might remember the washi tape easter crafts we did last year or the cute washi tape printable. Well, there’s a new kind of washi tape out that I’ve been playing with. It’s whole sheets of washi tape! Whole sheets of washi tape in coordinating colors. 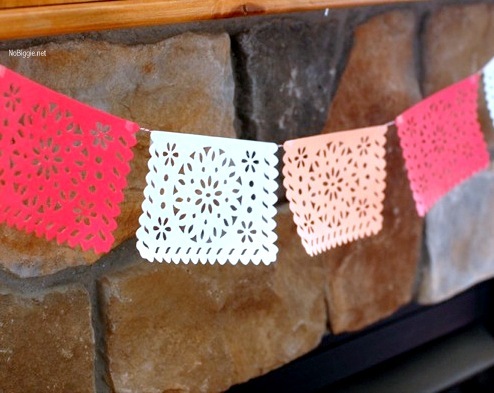 They’re called Shape N Tape by Lifestyle Crafts. You can now die cut them along with just tearing them. 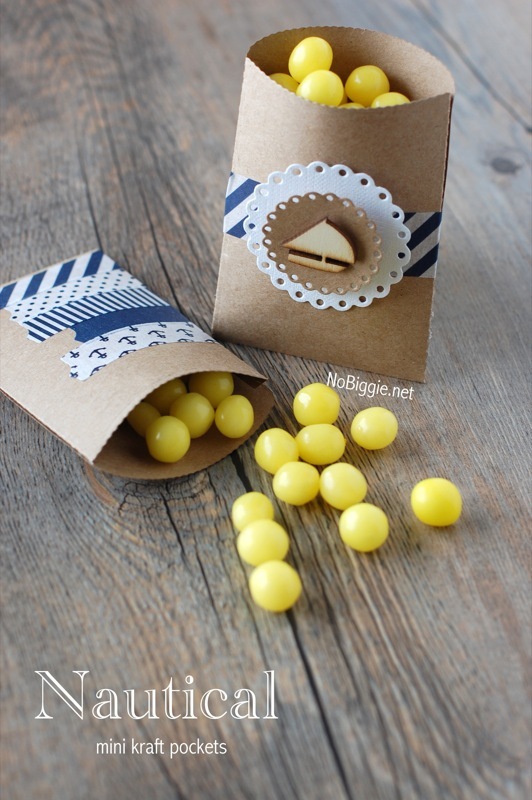 These little nautical party pockets would be so cute at a first birthday party for a little boy. The little wood veneer sailboat is from American Crafts. 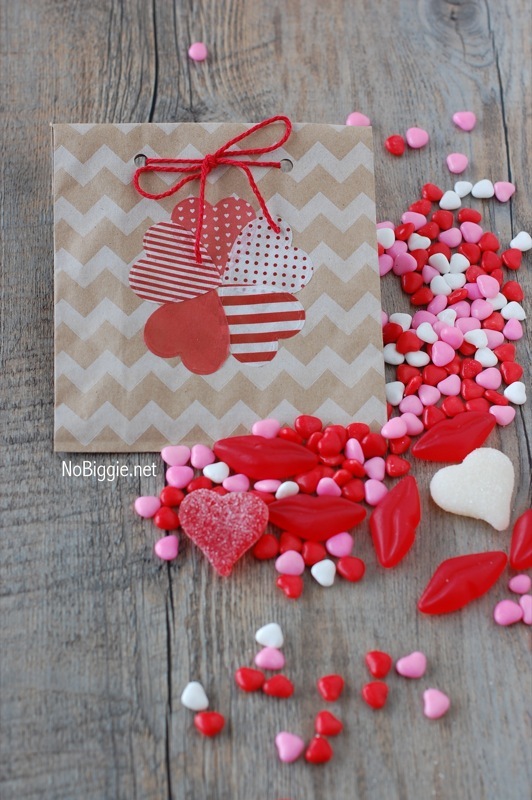 Or with Valentine’s Day coming up, you could make a sweet gift sack. Here are more projects with a few new dies that I’m loving. 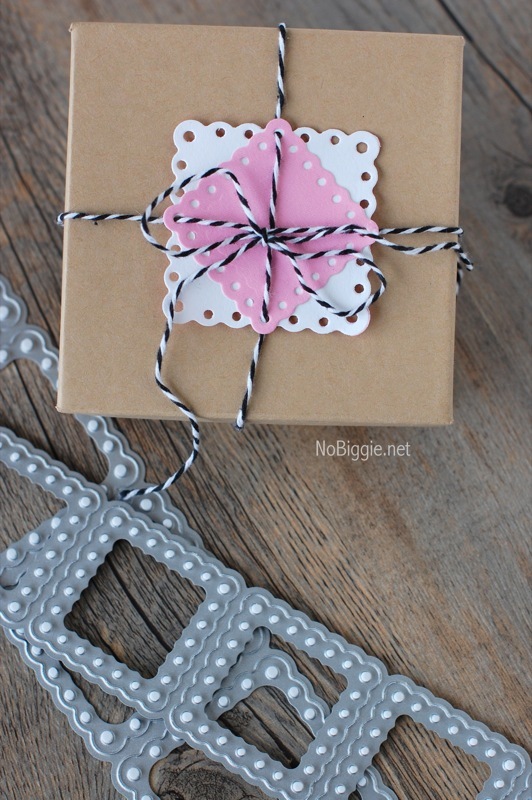 This gift topper is made with the lace square punches. I’m loving the new banners. 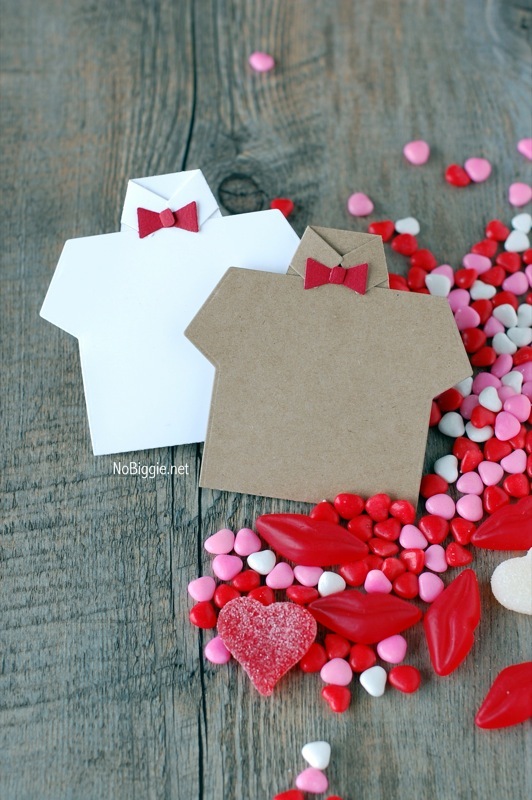 This simple shirt and tie card would be fun for him for Valentine’s Day or Father’s Day. thanks Erin! Once you get all settled in your new house, I’ll have to send you some! All so cute. Loving that nautical one!! 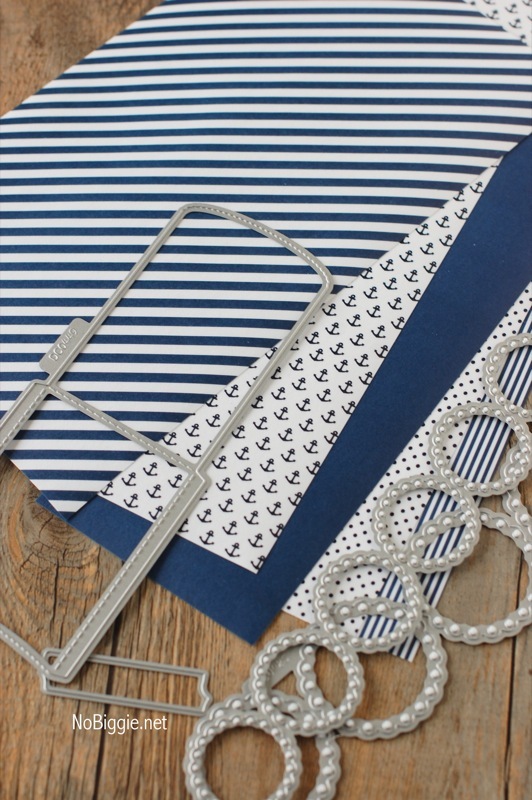 I can’t find those nautical washi tape sheets! can you tell me where to find them? its for my little ones first bday! I have searched Amazon and and I can’t find it! Shoot! So sorry. Since the merger of Lifestyle Crafts and We R Memory Keepers, it’s been really hard to locate all their old product.